Many small to medium businesses take a very hard decision and build themselves a website. They use Facebook, Twitter and other social media options to position their business across to potential customers. There are a couple of things to note here. For most mainstream businesses, if they had no online presence, their business would still continue to function. However with the increased number of business competitors, these businesses are forced (in some ways) to have some presence online. In the past you could say that a business has a traditional brick-and-motor business, they would have no need to be online as that is not where they will find their customers. They could still consider things like Facebook or Twitter to tell those that are listening (following) about the specials or offers. This could get more walk-in traffic. The traditional way to get walk-ins in the past was Television or Print. The only limiting factor was the short span and limited outreach. If you spend a couple of hundreds or thousands of dollars for a TV spot between a game, it would be played in the region you have selected for advertising and (it is commonly known that Adverts on the TV between games or serials are actually snack and/or toilet breaks). With print adverts, they cost a lot and are valid for the day they are printed, and applicable for those that purchased the publication for that day/period. If you know why you need an app, that’s good but if you are wondering why you need an app, this are a couple of suggestions and some of them could be applicable to your business. a. Outreach – Apps are not limited to geographies and are available to every potential customer that can use your services/products all around the world. b. New Territories/Customers – Apps can help you get customers from new territories and areas that were not available to you otherwise. Though it seems similar to point a, it is not. Take the example of AirBNB, they run a business of Bread-n-breakfast BUT do not own a single property. Their customers are from all over the world. c. Types of Customers – Depending on your business, the definition of Client can differ. In the past businesses were like a school, where you had a teacher and the rest were students. There was a business and those that walked into the door were clients. Clients were simply the ones that paid and purchased services. In the case of AirBnB, Freelancer and many more examples Customers are not just those that want to buy, but can also be the ones that have something to sell. Take the example of Apple, for them the Developers that make apps and make the Millions on games that feature Irate Avians are as much customers as are the users that purchase these games. From developers they make 30% of all sales and from users they take money upfront (via iTune cards). d. Engagement – The main reason for an App for your business would be for engagement. When you engage with your clients, you retain their interest and pique their curiosity for your products and services. Yes, congratulations. Like many businesses or service you have a website and Yes anyone can view the website on any device that has a browser. In many cases that should be all that you need for your business. If you read the points in #3, you will realise that the biggest influencer for an app is when you want to create engagement with your clients. When you want them to talk, interact, opine and refer your product/services to their friends and family. Do NOT spend in an app if you do not need to, but when you do, try not to cut corners. Congratulations once again, you have good Google skills and these companies have good advertising skills. This is a match made in heaven. However it could well be a short lived one. There is nothing wrong with these build-an-app websites. They allow you to design your own app by simply dragging and dropping components on to a mobile device image and setting the values. The advantage is that this would work on all devices that have a browser. However what you might not be aware of is that these are Websites that are rendered (made to look) like how it would as a native app. You can download the app from the app store, you can also bookmark the app to save on your home screen. Native apps cannot be bookmarked. This is a much better question than #4 and #5. Firstly native apps are expensive because they take time for developing and are usually custom build for you. They are not off-the-shelf products that you can simply tweak for your business. You can find templates that allow you to do that and build native apps but are not recommended. For basic things like displaying a list, map and a few images; web apps work fine. When you want to create more custom engagement that draw upon advanced features of the device or provide you with speed, you might want to look at a native app. One biggest point of concern is that you own nothing with a web app. The app is hosted and managed on the servers of the provider. You need to keep paying them on a regular basis to continue having the services. They can shut down or alter the content (though under contract they should not). With a native app, in the worst case scenario, you own the last compiled version that is uploaded to the app store. Think of this as you owning a car vs flagging a taxi. Personally I understand this question after all given that there is competition and things are not hunky-dory all the time, every expense needs to be budgeted. Specially when you hear that creating an app is not necessarily cheap. Cheap or Expensive are relative terms, a user might spend around $1000 for an iPhone but might not spend a $1 for an app. People can buy bottled water and food and throw it away without even having a bite, but would scream murder for a $2 app, so costs are relative. You need to consider it in terms of value to your business and consider the outcomes. Many large organisations can afford to contract an app between $100,000 to $1,000,000 and write it off as advertising costs. Their single day print and TV budgets might be bigger than this. So you need to look at your own scenario and determine the value you would add to your business and the benefits you might get from the app. Take the example of Centerlink, they have an app that collates all of your health and benefits (if you are on any). That app would not be cheap and has lots of complexity and datasets to collate data from. Apps cost are determined by the complexity of the work involved. While every client feels that their app is a simple app. Take the example of an app that allows you to take a picture and post it online, Simple really however just describes Instagram that was purchased for a Billion+ dollars. If you Google for howmuchdoesanappcost, you would find several calculators that let you determine the costs (ranges) I was tempted to put one in myself, but decided against it. I want to engage with my clients and in many cases the costs could be lesser than the template because during the discussion I could find a better solution which might require lesser effort and save you money. So we encourage you to get in touch with us for a free discussion. The fourth book by Jayant has been printed around the 20th of May 2015. 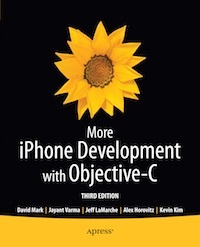 The book is the Objective-C version in the More iPhone Development books by Apress. This book was originally authored by Dave Mark and Jeff LaMarche. Dave still features as the main author and Jayant is the Active Author who completely wrote this book. 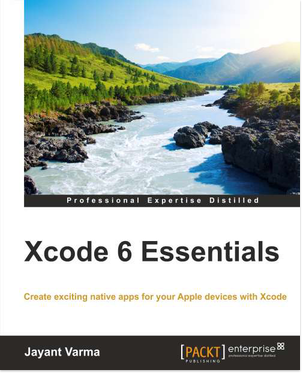 Get this book if you want to work with Objective-C and Core Data and other advanced concepts. 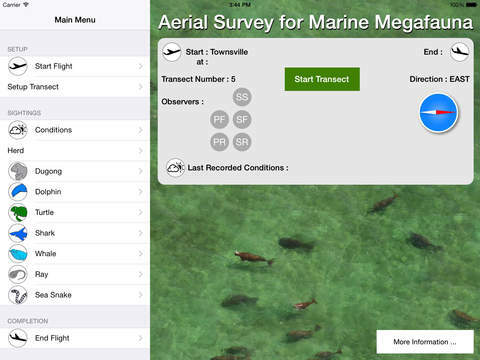 The new app for iPads called Aerial Survey for Marine Megafauna was launched. This is a specialised app with a specific clientelle in mind, it is not for everyone. It is for you if you are a researcher or a surveyor, that does Aeriel surveys of Marine Wildlife. The app is based upon the techniques by Marsh and Sinclair. The clients contracted this app and it was one of the early apps using Swift. Thereby increasing the requirements for the app to an iPad running iOS 8.0+. The app saves the data as csv files that can be retrieved from the iPad via iTunes when you connect it to a desktop. The third book by Jayant has been printed around the 20th of March 2015. This is already on the Hot new release on Amazon. The book is the Swift version in the More iPhone Development books by Apress. 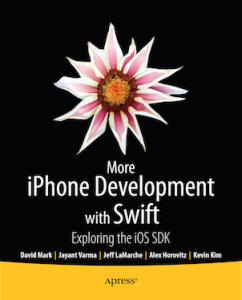 This book was originally authored by Dave Mark and Jeff LaMarche in Objective-C. Dave still features as the main author and Jayant is the Active Author and updated this book with Swift. 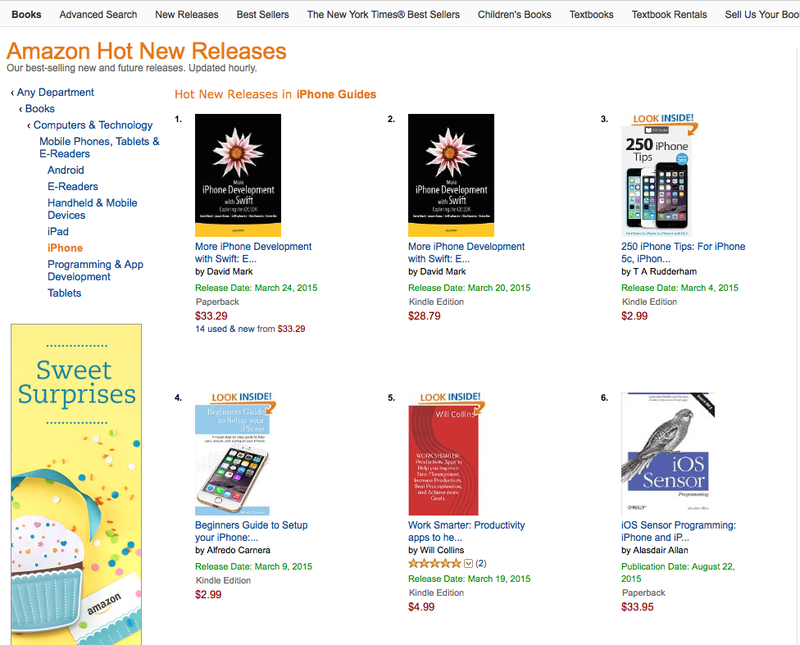 Get this book if you want to work with Swift and Core Data and other advanced concepts. 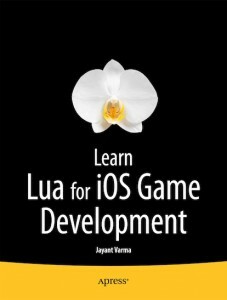 The only book compilation that covers a couple of Lua frameworks like Corona, Gideros, Moai, LÖVE, Codea and the essential Lua 5.1 API all in one big reference book. 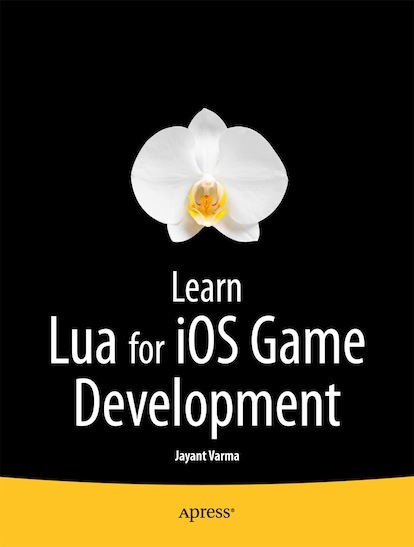 Even though many frameworks have changed and added more features, and Lua has newer versions and is updated to 5.3, this book still acts as a reference for the Lua developer, with snippets and enough elbow grease to get you out of the developers block with Lua syntax. You can still get your copy of the book from Apress or Amazon, details about the book can be found at http://www.apress.com/9781430246626. We got a spam message via the comments. Do people just sit looking for websites to spam or hack/inject? We are in the process of upgrading our website and it’s nearly done.